League members: 47 English clubs (including 2 Welsh clubs) have played in the Premier League since its formation. 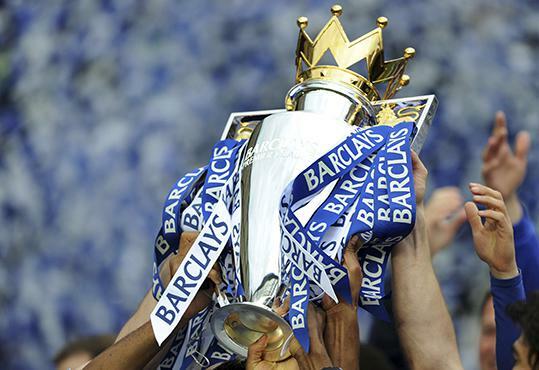 The Premier League is the top-most league for English football clubs and England's primary football competition. 20 clubs compete every year for the League title. The league is currently sponsored by Barclays Bank – therefore, its official name is Barclays Premier League. Premier League tickets are probably the most popular and wanted tickets in the world. The Premier League, also known as the English Premier League (EPL), is the top level of the English football league system. The competition was formed in February 1992 and known as the "FA Premier League", as the Football Association (FA) helped to create it. When it was first formed, it consisted of 22 teams, however this was reduced to 20 in 1995. The Premier League season typically operates from August to May, with most games played on Saturday and Sunday afternoons – although there are sometimes Monday and Friday night games. Each individual team plays 38 matches, which entails playing 19 other teams twice, both at their home stadium and away. In the Premier League, at the end of every season, the three lowest placed teams in the top-flight league get relegated to the EFL Championship, and the top two teams from the Championship get promoted to the Premier League, including an additional team promoted after a series of play-offs involving the third, fourth, fifth and sixth placed clubs in the top tier. Select a Premier League match from the list of home and away games at the top of this page. Choose your desired seating section and update the ticket quantity. Enter a delivery address (this can be a hotel if you are abroad). Log in with an existing account, or create a new one. Choose your payment method and purchase your tickets. Receive your confirmation via email. Enjoy your Premier League tickets!